2 – enter the location in the search bar. if you have an address, include it, but you can also use a town name and state, or a town name and country. 2a – Take the time to drop your newly copied lat/long in to Google Maps and confirm visually that this is the location you are wanting to search. It’s good to double-check your results on a couple of platforms. 3 – The latitude/longitude result will appear on the left of the Bing window. I recommend you open a “worksheet” (such as a plaintext document or notes document) which is sort of like “digital scratch paper”. 4 – Copy the lat/long and paste it to your worksheet. 6 – Now copy and paste the entire geocode from the worksheet over to twitter search window. 7 – The search above is set to a search radius of “10km” or 10 kilometers.You can make the size of the search as small as .1km or as large as 2500km. Just delete the 10 and change it to the size you wish to search. 8 – If you aren’t finding the information you expected to see in this area by making the search smaller and larger, t’s time to add some additional search terms to your geocode search. Question mark searches will often help you to spot needs and trends. 9 – Once you’re getting useful search results, take the information that you’re finding back to your group and share. If you think it’s important, remember to save the URL for the page so that you can get back to it later. I’m in the process of putting together a search term directory/index for various types of disasters. I’ll link to it here once I have that done or well underway. 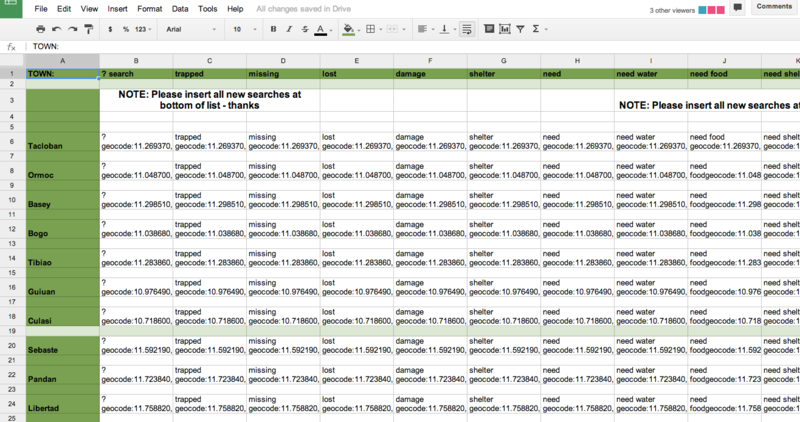 I’m going to build a prepared template in googledocs and share soon. 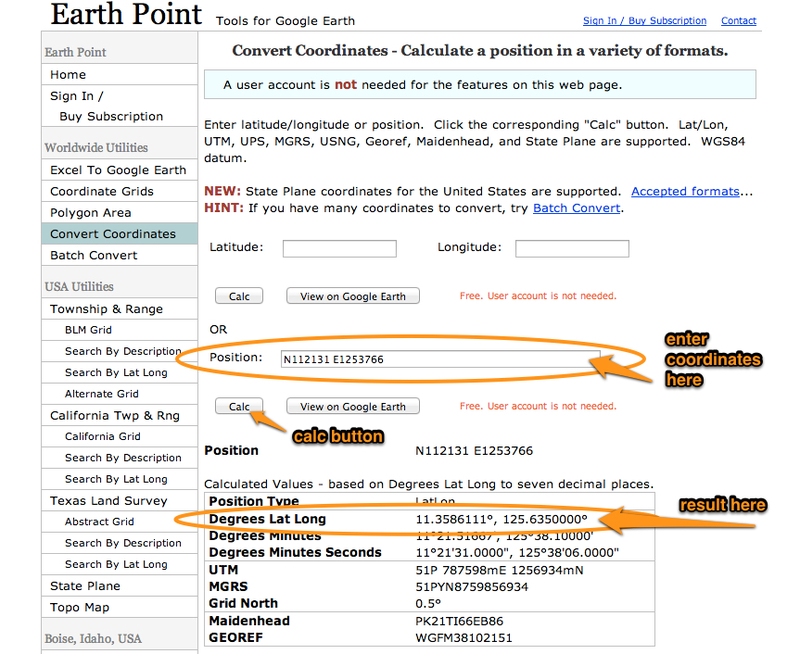 to a useable lat/long format for geocode searches. 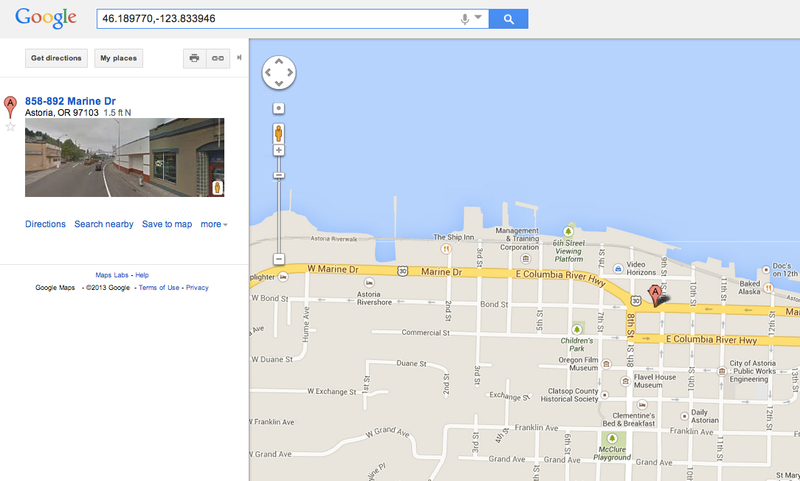 -now copy this lat/long to your geocode search.